...when you see THIS CAKE. 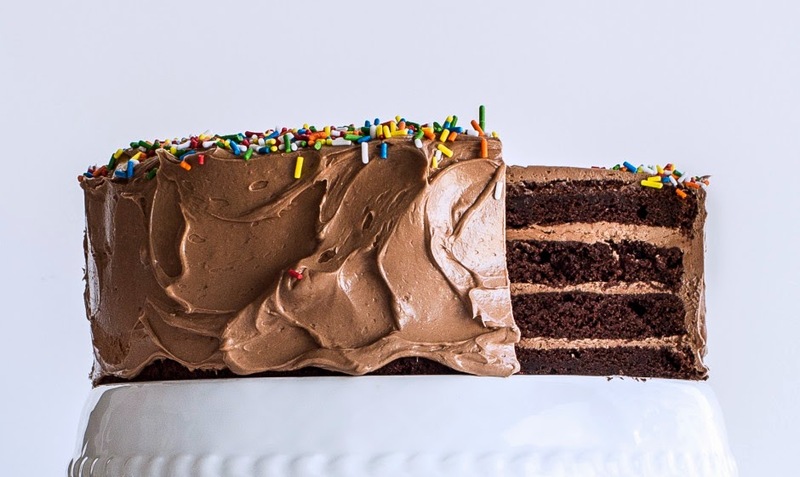 How can anyone ever question that life can be a wondrous thing, when you hear about and see the bon appetit four-layer chocolate birthday cake with milk chocolate ganache and nutella buttercream? Take in all it's glory (below) and find the recipe HERE.